Creating a Lead-Generation Machine | Click Rain, Inc.
"Powder House Pass doubled their leads during the time we ran our CPC campaign. That's a 100% increase!" Powder House Pass is a development company in the Black Hills of South Dakota. The company needed to attract buyers to their build-ready land plots surrounded by tall trees and abundant wildlife. They wanted to appeal to people looking for a second home near historic Deadwood, South Dakota. Even with prime real estate, Powder House Pass didn’t know how to best raise awareness and generate buyer leads. We partnered with their team to build a website and create an online marketing strategy. While Powder House Pass had already tried direct mail and paid placement in local newspapers, Click Rain recommended creating pay-per-click ads and a landing page with a form to request more information. Then, we got to work. 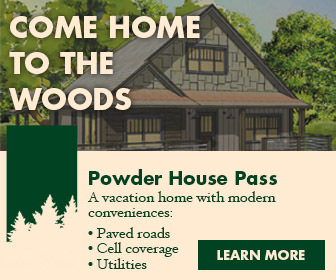 When first placing ads through Google, Powder House Pass didn’t know who would bite. After segmenting ads to target different audiences, we monitored the top-performing ads based on click-through rate and landing page conversions (meaning the visitor filled out the form to request more information). Once we knew who was most interested in learning more about the property, we began customizing the messaging of the ads to speak to this niche group. In addition, targeting this small, high-converting audience resulted in a dramatic decrease in the cost per qualified lead. After one year of optimizing, their cost per lead decreased by 65% compared to when the campaign first launched. That’s significant savings. 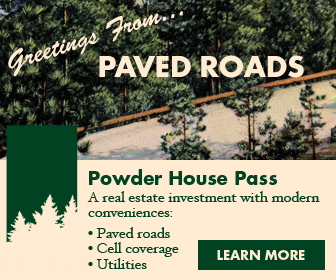 This has been Powder House Pass’s most effective lead generation effort to date. Over 81% of leads can be attributed to pay-per-click efforts and the strategy behind them. They’re so happy with the results, we’re hoping they’ll reserve us a fabulous vacation home lot (but we understand if they don’t).